The people who work at Bestgen Wealth Management have the knowledge and experience to help you pursue your financial goals. Our staff is always ready to address your concerns, answer your questions, and put you at ease. Please read below to learn more about the background of the people you would be working with. Bill Bestgen began his career in the life insurance business right after graduating from Northeastern with a BA in economics in 1970. He obtained his securities registration in 1973. His business has evolved into a full-service financial planning practice catering to business owners and high-net-worth individuals. He earned the Chartered Financial Consultant® (ChFC®) and the Accredited Estate Planner designations in 1983 and 1991 respectively. Bill is a licensed insurance advisor and also an Accredited Investment Fiduciary® designee. Bill is a member of the International Association of Financial Planning, the National Association of Estate Planning Councils, the American Association of Life Underwriters, and the Million Dollar Round Table. Bill and his wife, Ann, have two grown children and three grandchildren and reside in North Easton, Massachusetts. 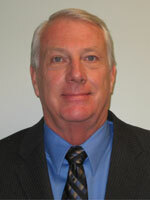 Bill enjoys boating and skiing in his spare time and is an avid Patriots and Red Sox fan. Brad W. Bestgen is an Investment Adviser Representative with Commonwealth Financial Network®. He graduated from Syracuse University in 2002 with a double major in finance and marketing. Prior to college, he graduated from Xaverian Brothers High School in Westwood, Massachusetts, and currently serves as the VP of the alumni board. Brad began his career with MFS as a mutual fund sales specialist. Brad worked as a financial advisor at Bank of America for three years prior to joining his father at Bestgen Wealth Management, LLC, as a partner in 2008. Brad is a CERTIFIED FINANCIAL PLANNER™ professional and is an Accredited Investment Fiduciary® designee. Brad is dedicated to providing superior service and sound investment advice to his clients by utilizing Commonwealth's open architecture structure. Not only does Brad offer comprehensive financial advisory and wealth management services to high-net-worth individuals, but he also assists with managing 401(k) and profit-sharing plans for privately held companies. Currently, Brad resides in Easton with his wife, Jenny, and two children. Brad is an avid skier in the winter months and is looking forward to teaching his children. Brad also enjoys golf and many other outdoor activities, although his extracurricular activities are currently limited to chasing the kids around the house. Brad is a diehard Boston sports fan and is anxiously awaiting a return to greatness for the Syracuse football team. Matthew J. Deckman has spent much of his career in big-box retail management and has managed several large stores, including Giant Foods, The Home Depot, and Bed Bath & Beyond. Matthew left his 15-year management career in retail in 2012 to focus on 401(k) analysis. His extensive training and expertise as a merchant providing an extraordinary customer experience, monitoring P&L statements, and margin analysis have helped him transition smoothly into the financial services industry. 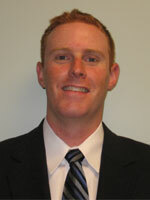 Matthew studied business management at Millersville University of Pennsylvania. Although his passion was aquatic ecology, he stayed in business while maintaining membership in Millersville's Ocean Science Club. Matthew continues his passion for the outdoors through many means, including holding ownership in a hunting and fishing club in the mountains of Central Pennsylvania. He is very active in Avon Grove Area Little League and serves as president on the board of directors. Matthew loves the game of baseball and has a passion for teaching it. Jessica Soucia joined Bestgen Wealth Management as the chief operating officer. 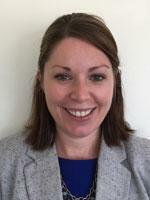 Jessica has an extensive background in the industry, starting her career at Brown Brothers Harriman. She has a bachelor's degree from Northeastern University and an MBA from Curry College. Jessica resides in Westwood, Massachusetts, with her husband and two young children. She is an avid athlete, having run many marathons, and she enjoys staying active with her children. The Five Star Wealth Manager Award is based on 10 objective eligibility and evaluation criteria, including a minimum of five years as an active credentialed financial professional, favorable regulatory and complaint history, accepts new clients, client retention rates, client assets administered, education, and professional designations. 3,542 Boston wealth managers were considered for the award; 801 (23 percent of candidates) were named 2015 Five Star Wealth Managers. (The criteria provided reflect the most recent year for which advisor received the award. The criteria used, the number of wealth managers considered for the award, and the percentage of those who receive the award may vary from year to year.) These awards are not indicative of the wealth managers' future performance. Your experiences may vary. For more information, please visit www.fivestarprofessional.com.